This Li-Ion NP1 battery provides a light weight, and higher capacity alternative to Ni-MH and Ni-Cd. Features an intelligent control circuit for temperature, current and voltage protection with a 4 level LED power indicator. CE approved. 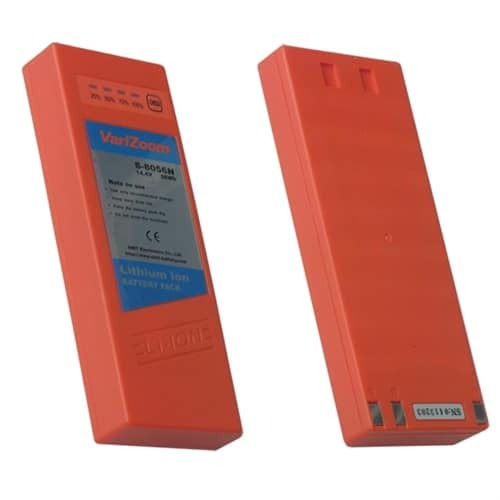 This 73Wh Li-Ion NP1 battery provides a light weight, and higher capacity alternative to Ni-MH and Ni-Cd. Features an intelligent control circuit for temperature, current and voltage protection with a 4 level LED power indicator. CE approved.